HAPPY DONABE LIFE - Mrs. Donabe's Rustic Japanese Kitchen: Our donabe on Bon Appetit magazine! 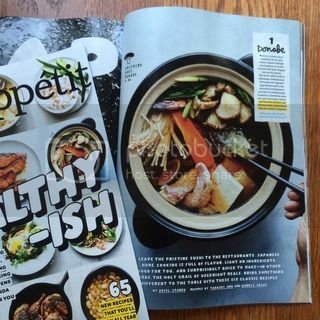 I am so excited that our Iga-yaki donabe is featured on Bon Appetit magazine, both on the cover and inside! 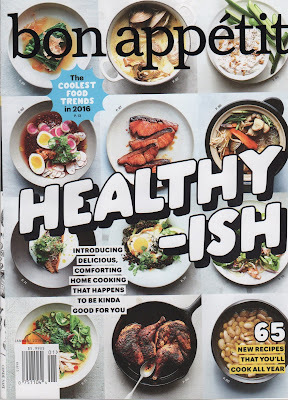 It's the latest January 2016 issue and titled, HEALTHY-ISH. 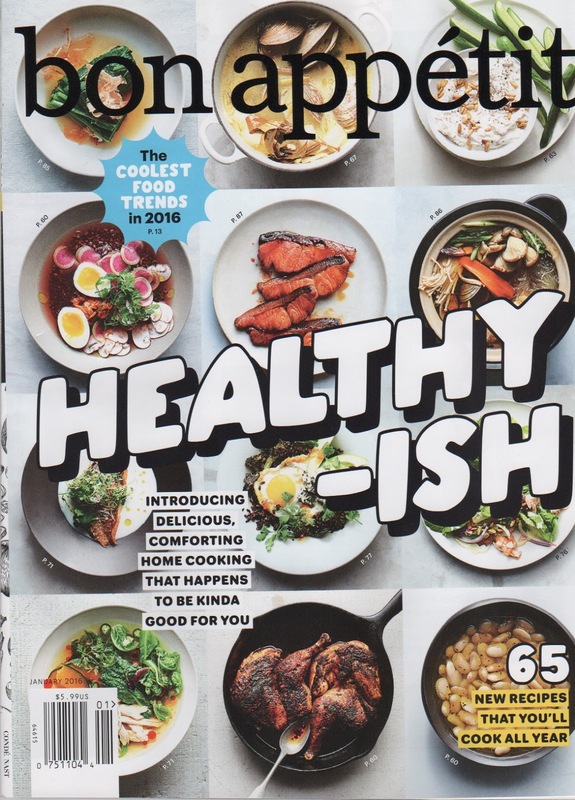 Inside, our double-lid donabe rice cooker, "Kamado-san", and donabe steamer, "Mushi Nabe", appear in 3 full-color full pages in the feature titled, "THE NEW HEALTHY 2016 - JAPANESE HOME COOKING", starting from page 82. Kamado-san is used to make a hot pot dish, and the recipes by Tadashi Ono and Harris Salat look so delicious!